Netflix services into their respective platforms. TV Operators, In- Car Entertainment systems( OLA play) etc. The end objective is to increase subscription revenues by increasing distribution of Netflix services. Therefore it is important to select, build and grow with right partners. Silver Partners - In majority of cases, it will be a symbiotic relationship to promote each other’s services. In order to work out mutually beneficial arrangement, it is important to take into consideration CAPEX, OPEX and ROI aspects of partnership. The exact economies of distribution partnership will depend on investment by both partners, revenues, profit margins & growth potential on partner’s platform. 50% of subscription revenue from partner’s platform will be shared with partner, till CAPEX on the integration is fully recovered. 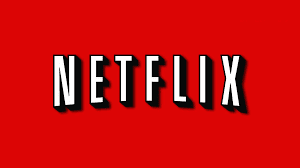 Initial Investment in the integration of Netflix services will be shared by partner and Netflix in equal proportions. In case of silver partners, there won’t be any revenue sharing, as it would be a win-win situation for both players. In most of cases, Netflix will get access to partner’s user base and partner benefits from additional user engagement (data usage), enhanced visibility and reputation (globally).